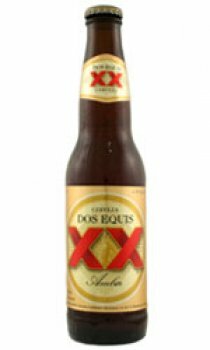 Dos Equis Ambar is a traditional Vienna style amberlager with a rich, big flavour. Think of it as lagers dark, moody and passionate cousin. Why isn't this beer everywhere? It tastes really good and comes from the same Mexican house as Sol and also distributed in the same folks in the UK. The Ambar version is much superior to the 'Special Lager' and has a really rich, yet quite smooth taste.